At Circular3D we value education. 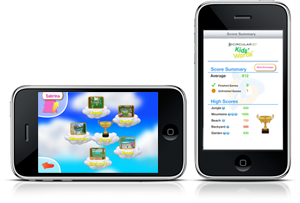 It is our goal to help teachers and parents promote education with fun and engaging technology. We believe that our educational products will stimulate the minds of students and children and promote learning. Our products are affordable and rewarding. We produce beautiful reports of the student's progress identifying areas of improvement and excellence. We want to help you keep your students engaged. We believe that our educational products will provide another opportunity for you to connect with your students and measure performance in a fun way. Our educational products are affordable, and we believe our quality is unmatched. We also value your feedback, please do not hesistate to contact us about how we can improve our products to better address the needs of you and your students. 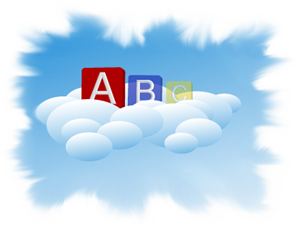 We are currently working on several educational games. These games will help teach and evaluate students in the areas of vocabulary. If you have any ideas that you would like to share with us, we want to hear from you. These games can also be for your entertainment, they are designed to be fun and engaging for the whole family! Please contact us today with any comments or requests! We are looking to partner with K-12 schools and teachers and provide them with fun and engaging educational games for their students in the classroom. If you are a teacher or a school we would like to know what kinds of games would help enhance your curriculum. 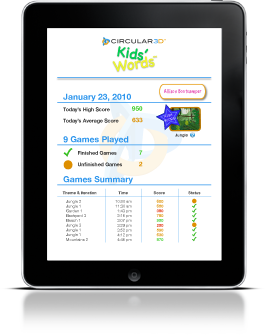 Our games are designed for the classroom and capable of tracking multiple teachers and classes. If you are interested in finding out more information about how you can partner with Circular3D please contact us. Copyright © 2010-2016 Circular3D Inc. All rights reserved.